With weather patterns shifting due to climate change, farmers need weather-related information they can count on. Luckily, their mobile phones can help them get it. “Utabiri wa hali ya hewa” (Swahili for “Beep for Weather”) is a radio and mobile phone service for farmers that was recently developed at our radio and ICT innovation lab, The Hangar. It enables farmers to receive important weather and agricultural information by calling into a radio station and promptly hanging up so to receive a return call, free of charge, and listen to a recorded message. 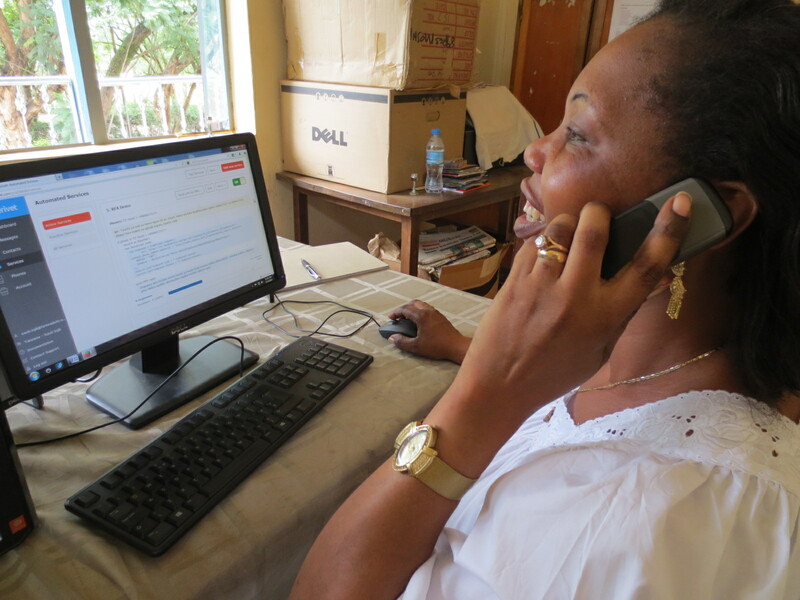 We recently piloted this technology in Tanzania, with forecasts and information for the Kilimajaro, Arusha and Manyara Regions. Because this is a service with which many farmers are yet unfamiliar, it was important to start by raising awareness about it. To do this, we began by airing a promotional jingle over the radio that explained how the service works and encouraged listeners to beep (place a missed call) to sign up for updates. The promotional jingle ran for over a week, during which time approximately 600 listeners subscribed to receive text message notifications to alert them of newly available updates. Over time, other farmers not subscribed to the SMS updates learned about the service over the radio and also beeped for weather. Between December 2013 and April 2014, 1,241 different people called in to receive a call back with weather and farming advice, for a total of 2,041 beeps! Helen Madege of Radio Sauti ya Injili demonstrating the Beep4Weather service. What made Beep4Weather recordings unique to farmers was that they contained not only a forecast, but also useful farming advice. The audio shared here contains a 30-second weather forecast recorded by Tanzanian journalist Rotlinde Achimpota with data from the Tanzania Meteorological Agency and Toto Agriculture, as well as weather-specific advice for farmers provided by agricultural extension officer Digna Massawe. 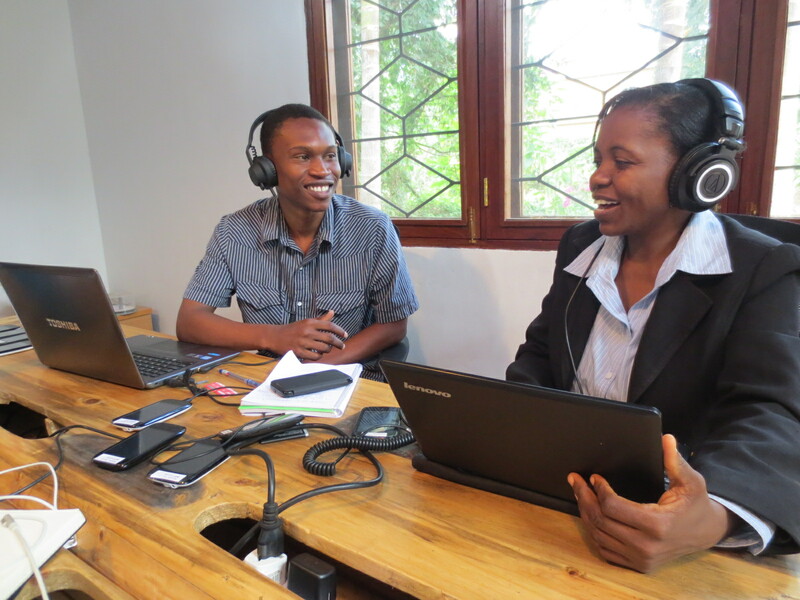 In collaboration with FRI staff, Rotlinde prepared both weekly and monthly weather reports for radio stations across the northern highlands of Tanzania, including Farm Radio International partners Radio 5, Radio Sauti ya Injili and Habari Maalum Media. FRI’s Kassim Sheghembe and journalist Rotlinde Achimpota at work in The Hangar on a Beep4Weather recording. 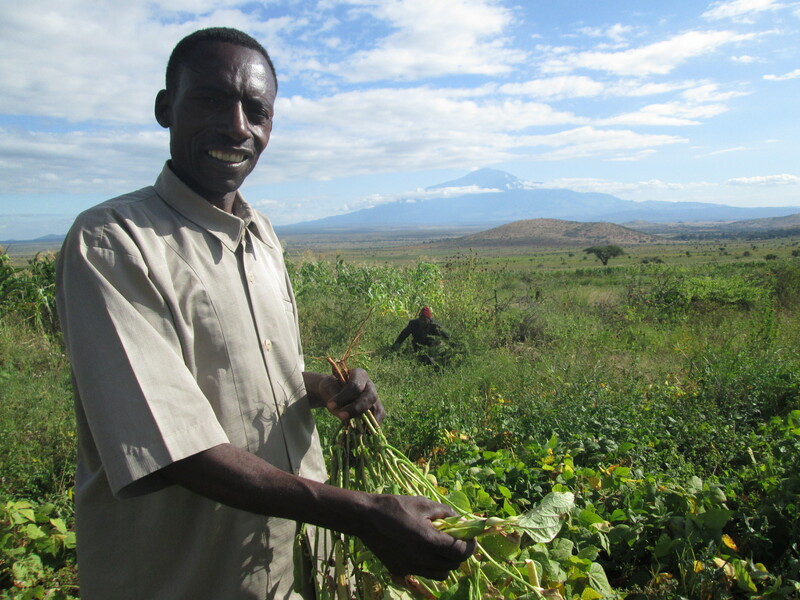 Leonard Kinyamagoha, a farmer in the Kilimanjaro Region who used the Beep4Weather service. Kassim and Rotlinde recently conducted a brief poll on the usefulness of Beep4Weather for farmers. It was sent to the 600 farmers who subscribed to the SMS updates. The results were very positive. When asked if Beep4Weather information was helpful in farming activities, nearly 70 per cent of respondents said yes. And, when asked if they would recommend Beep4Weather to other farmers, nearly 85 per cent of respondents said yes. Following the success of this pilot, we are excited to expand the use of Beep4Weather technology in our work.